Why are educational videos so engaging? Because they are the perfect mixture of entertainment and information. But not any kind of information – it’s the kind that your audience wants to hear. Here at Yum Yum Videos, we’ve seen first-hand how useful educational content is, and we’d like to share it with you! These videos are the ones that teach your audience something valuable, usually about how to solve a problem or a certain issue they have. The fact is that people love to learn new things, and share these things with their peers. Actually, did you know that instructive videos are watched twice as much as pet videos? And you’d think cats would be the kings of the Internet! These videos are incredibly powerful, if used right. And this starts by using them in the right stage of your Buyer’s Journey. Videos that are meant to teach your audience, are placed at the beginning of the Buyer’s Journey (which is called the awareness stage). During this stage, your audience is looking for information about their problems. Very convenient! By giving your audience the information that they need, you’re helping them come to you – which is an inbound marketing approach. Your content is very useful to your audience, so they’ll come to you instead of you going out to them (like it would happen with classic advertising (outbound marketing). Instructive videos are meant to teach your audience about a certain topic. So, it makes a lot of sense that they’re placed at the beginning of the Buyer’s Journey! Forget being ‘salesy’, this is not the time for that! At the beginning of the Journey, your audience is not interested in buying anything just yet. Your job is to educate them, teach them more about their pain points – all of which will create a bond between your brand and your future customers! They may not be ready to make a purchase yet, but eventually they will – and when they do, they’ll remember your expertise and guidance. Because of the information you provided, when they’re ready to make a purchase, they’ll trust your product more than any other one. But hey, not any kind of video will do the trick. In fact, there are a couple of secrets you need to know if you’re going to do it right. Don’t worry, here at Yum Yum Videos we’ve been making educational videos for a long time now, so we’ll show you the way! Educative videos are nothing if they won’t help your audience, exactly in the way they need to. And in order to know how to do this, you need to know exactly who your audience is. The trick here is simple: Know your audience like the back of your hand. You can’t help someone you don’t know anything about! Create buyer personas (which are representations of your ideal customers), and analyze their pain points. After you know these pain points, you’ll know how to solve the puzzle. Create helpful content, that is targeted directly to solve your audience’s problems. Remember: your goal right now is not to sell your product. Your goal is to be helpful to your future customers! As we said before – right now, it’s not the time to be salesy. Forget your product for a moment, your goal is to be helpful. By doing this, your audience will look at your brand as a reference in the market: a solid, trustworthy brand that knows the answers to their needs. When you provide information to your customers, it’s okay to mention some possible solutions, but not specific products! More like generic solutions, explaining why some are better than others. Focusing on providing solutions. Forget your brand, for now. We’re not contradicting ourselves. Let us explain! Just because you need to stop the sales for a moment, it doesn’t mean that you can’t use branded content. For example, you could use your brand’s colors in your video’s palette, include your logo at the top of the video, and an animated version of it at the beginning and the end! Using branded content in a way that’s not invasive means that your audience will remember you as the trustworthy brand that knows every solution – but that didn’t try to sell you anything. By adding these subtle hints of your brand without being invasive, you’ll make your audience remember you in a positive way. In any kind of marketing video, quality content is everything. From truthful information to professional video content – everything must look sharp! For starters, quality and trust come hand to hand. You can’t have a low-quality video and expect people to trust your information – or your product, or your brand. If you want to be a trustworthy brand for your potential customers, every piece of content associated to your brand needs to follow a high standard. It’s simple to create a high-quality video if you’ve got the knowledge, or the right team to do it! 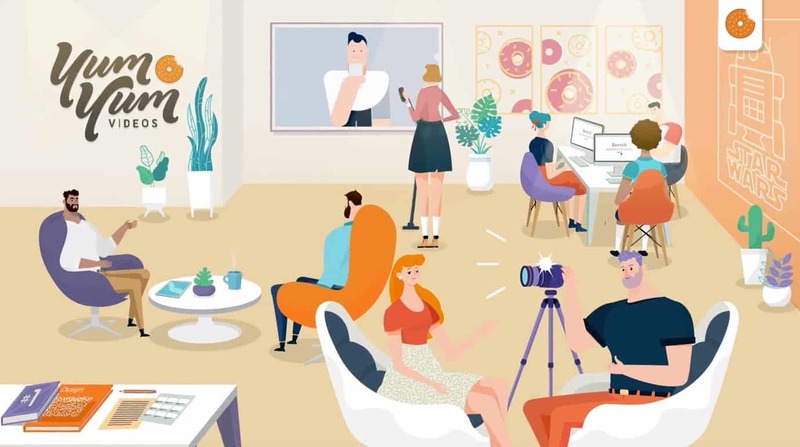 Usually, video content needs a team of skilled writers, illustrators, animators and native voice actors – which is why most brands choose to hire a professional video production company. You could also make a video in-house if your team has enough experience! Also, there are some DIY video makers online based on templates, which are cheaper but they usually repurpose stock content for videos. Just remember: an educative video, just like any kind of video, is an investment with a very high ROI. If you invest in high-quality, you’ll get a high return! But, if you decide to cheap out, not only will you not see any real results – you won’t have any return on your investment. Invest high and get high results… or else, it will be a waste of time and money. 5. Choose the right style for your video! There are many kinds of videos out there. For educative videos, you can choose from a wide variety of styles, from animated videos to live-action ones. The trick is to choose the one that goes better with your brand’s style. Remember, every piece of content that you post online should communicate your brand’s message, and videos for educational purposes shouldn’t do any less! You see? 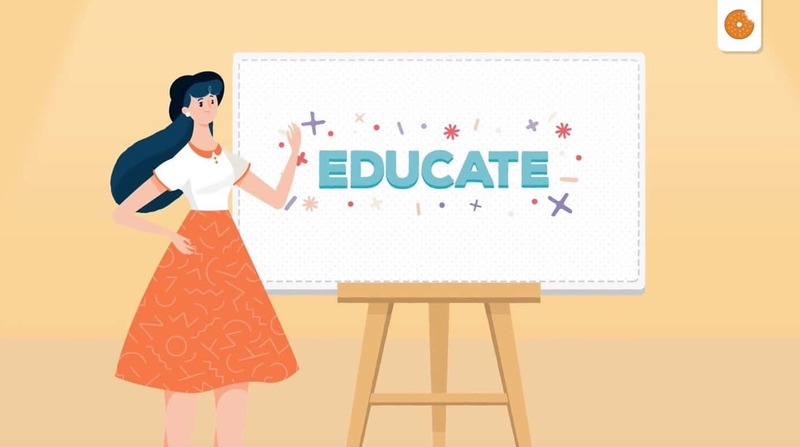 This is one of our top educative videos, and it also provides some information about the different kinds of animation that you can use to fit your brand. Some of the great things about animated videos are that: you can fit the animation style to your needs, create characters that look like your target audience (thus, inspiring identification in them! ), and give shape to a lot of situations that wouldn’t be possible in real life. With animated video content, imagination is the limit! 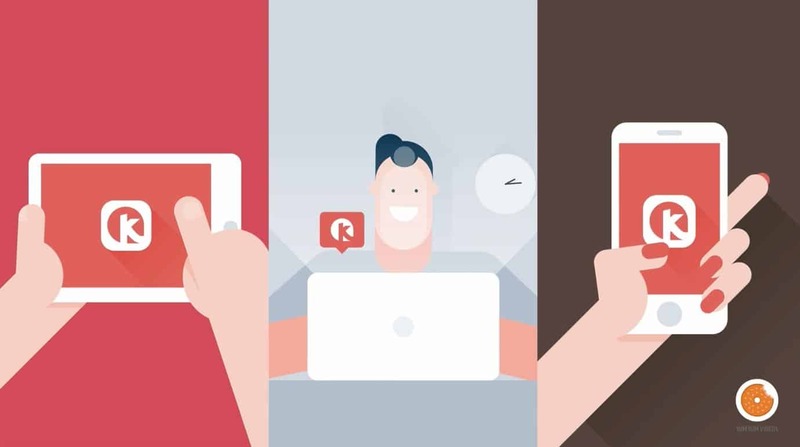 The trick is to identify which kinds of videos will fit your brand the best! Let’s close with some stats! As you’ve seen, educational videos are very powerful, because educative content paired with entertainment is powerful. We told you at the beginning of the article that this kind of content is viewed twice as much as kitty videos, so that’s a powerful statement! The combo of education + entertainment + providing the right kind of info, is what makes these videos engaging. And keeping students minds from wandering off! Which is very hard in today’s online world. Now it’s your turn. Are you ready to create a great educational video? Don’t wait any longer – it’s time for you to know first-hand, the power of education.